MYRTLE BEACH, SC (WMBF) – The JCPenney at the Coastal Grand Mall is at risk of closing in a round of planned store closings which were announced last month. Morningstar Credit Rankings, an independent business ratings company, identified 39 JCPenney locations that are most at risk of closing due to below-average tenant sales. The Coastal Grand Mall location is among them. Joey Thomas, a corporate representative for company, responded to an inquiry by WMBF News by stating: "The Company doesn't comment on analyst reports or market speculation, and will issue a list of closing locations in mid March." 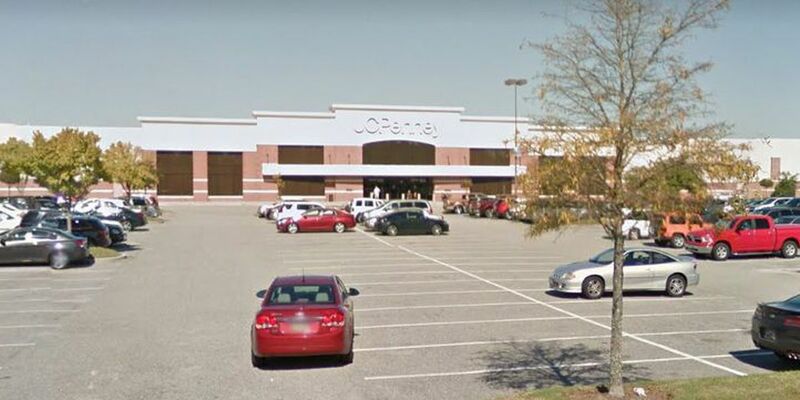 Coastal Grand Mall Marketing Director Tori Dean said: "JCPenney has not released a list of stores impacted by their store closure announcement last month. JCPenney at Coastal Grand performs well and there is no reason to believe that this store will close nor have we been informed by JCPenney that this store will close." The company is implementing a voluntary early retirement program (VERP) incentive for about 6,000 eligible associates, Thomas stated. The company expects to see a net increase in hiring, as more associates are expected to take advantage of the VERP than the number of associates who will be affected by the closures. Thomas added that they will go to "great lengths" to relocate esteemed leaders, and provide outplacement support services for those eligible associates who will be leaving the company. "Even though we're closing a larger number of locations this year than we have in the past, we continue to recognize the importance of physical stores in an ever-evolving retail landscape," Thomas said. "Our stores are a destination for personalized beauty offerings, a broad array of special sizes, affordable private brands and quality home goods and services. Plus, physical stores are key to our omnichannel strategy by providing e-commerce support through order fulfillment, same-day pick up, exchanges and returns." Thomas continued: "That said, it's essential to adjust our store portfolio and invest in those locations that offer the best expression of the JCPenney brand and can function as a seamless extension of the omnichannel experience." People shopping at JCPenney at Coastal Grand Mall Thursday said they really like the store and they'd be sad to see it close. "I feel the merchandise is easy to find and check outs are usually pretty good," Elizabeth Conte said. "It's hard to believe. The prices are right and I think the average person shops here." "I do shop online, but I do still like to go in a store and touch and feel and try things on," Holly Young said. "I'd be disappointed. It's sad to see stores like this not be able to survive." Horry Georgetown Technical College Business Department Chair Candace Howell said online shopping is replacing traditional shopping experiences, prompting the trend of closures among big-box retailers. "I was talking to someone the other day that wanted to buy a new camera," Howell said. "They went and checked out cameras, but they didn't buy it at the store they went and checked it out in. They went and checked it out so they could see it in their hands but then they bought it online." She said companies often look at store performance and decide if a brick and mortar store is still worth it while online sales are increasing. "It's normal for a business on an annual and really a quarterly basis to take a look at their numbers and say ok how are we performing?" she said. Even Howell said she doesn't want to see the Coastal Grand Mall close, but this could be the consequence of modern-day shopping habits. "I was in there the other day buying a whole bunch of stuff. It's a great store and it's a store that's been a part of American shopping for so long, but these businesses have to make good decisions for them to really go the long haul," she said.